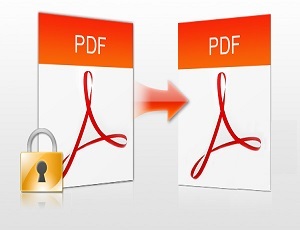 Want to remove a password from PDF Files, here is How to remove password from PDF file. PDF (Portable Document Format) file format used to present documents. The PDF file format is mainly used for documents such as E-Books, Banking statements, and other document files. Adobe Acrobat Reader software is mainly used for PDF files. The PDF file can contain text, links, buttons, audio, and video. When you download pdf files from the internet such as e-books, then these PDF files may be a password protected files. You need to enter the password to open password protected PDF files. Sometimes you need to open a particular password protected PDF file many times in a day or daily. Also, remembering the password is difficult. You may need to write the password if the password is complex. So, it is better to remove the password from PDF file. After that, you won’t need to enter the password again and again. There are many tools available on the internet to remove the password from a PDF file. Also, many people search on the internet for PDF password remover. PDF password remover tool only needed when the PDF file has a Print restriction. If the PDF file has no print restriction, there is no need to download any tool. Mostly all Windows users are using Chrome browser. So, you can use the Chrome browser to remove a password from PDF file. You can also do this on a Mac or any other OS like Linux. You just need a chrome browser to do this. How to remove password from PDF files on Windows PC/laptop. How to remove password from PDF file on Mac. So, if you are a Windows user then you can use the Chrome browser to remove the password from PDF file. Chrome browser has an inbuilt feature to view PDF files. Also, there is an option ‘Save as Pdf’ in Chrome browser. With this option, you can remove password of any PDF file. Below are the steps to do this. Open Password protected PDF file with Google Chrome browser. To do this, Right click on the PDF file and Open with Google Chrome. Now, you need to enter the password of PDF file to open in Chrome browser. So, Enter the PDF file password. After that, Press CTRL + P from the keyboard and choose a “Save as PDF” option from the destination. Save the PDF file to the new location on your PC. Now, this saved PDF file is without password protection. Note: In Windows 10, There is an option “Print to PDF” to save web pages in PDF File format. So, you can also use this option to remove password of PDF files. After pressing CTRL + P, you can choose Print to PDF option. Open Password Protected PDF File in Adobe Acrobat Reader or in any browser and After pressing CTRL + P, you can choose Print to PDF option. If you are a Mac user, then you can also remove PDF file password on Mac. Mac also provides a feature to save the document as PDF. Below are the steps to do this. Open Password protected PDF file in Preview and type the password to open it. After that, Click on File option and Choose Print option (Go to File » Print). Now click on the PDF menu button from the bottom of the print dialog. Choose the “Save as PDF” option and save the PDF file to a new location. Note: These two methods won’t work, if the PDF file has a Print restriction. So, you need Adobe Acrobat pro or another tool to do this. Adobe Acrobat Pro is a paid software. Everyone uses a free version of this software to view PDF files. But, In the paid version, you can remove the password from PDF files. Open Password protected PDF file in Adobe Acrobat pro and enter the password of the PDF file. After that, click on the Lock icon from the left side of the screen and Click on Permission details. Under Security Tab, choose No Security option from Security Method. After that, Click on File › Save. Now Password will be removed from the PDF file. You don’t need to enter the password again when you open a PDF file. So, This is another method to remove PDF file password. There are many tools available on the internet to remove the passwords. Download BeCyPDFMetaEdit Tool. This tool is very useful to do this. Download BeCyPDFMetaEdit tool and open it (You can download direct executable file of this tool, there is no need to install this tool). At first, Select Complete Rewrite option from Mode and browse and Open Password protected PDF file. After that, Click on Security and Choose (No Encryption) option. Now click on Save as to save the PDF file in the new location. So, guys, with these methods you can remove the password from PDF files. If you don’t want to protect PDF files on your PC, then use this method. You don’t need any other tool to remove the passwords. Print to PDF feature is very useful in Windows 10. But Chrome browser has this feature also. You can do a lot of things with these options.